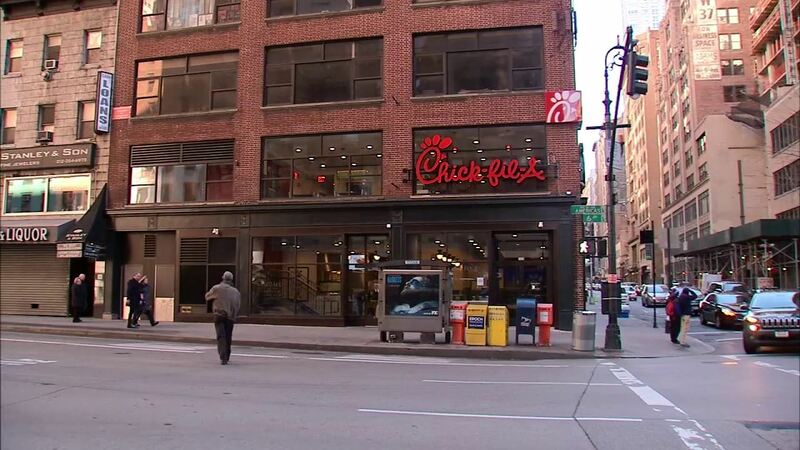 MIDTOWN, Manhattan (WABC) -- Chick-fil-A's first standalone restaurant in New York City remains closed Monday, following a list of health code violations that would give the eatery a "C" grade. The restaurant said it voluntarily closed the doors of the 37th Street/Sixth Avenue location on December 30, following the results of a New York City Health Department inspection on December 24. That inspection resulted in six different violations that results in 59 total violation points, which is how New York City scores restaurants. The restaurant's corporate office told Eyewitness News it waited six days to close the store because "it was a time when we could get the right resources in the restaurant over an extended period of time with the least amount of disruption to our customers and team members." Chick-fil-A said the inspection results did not require any sort of shutdown, but the company "felt closing was the right thing to do to take the proper measures going forward." 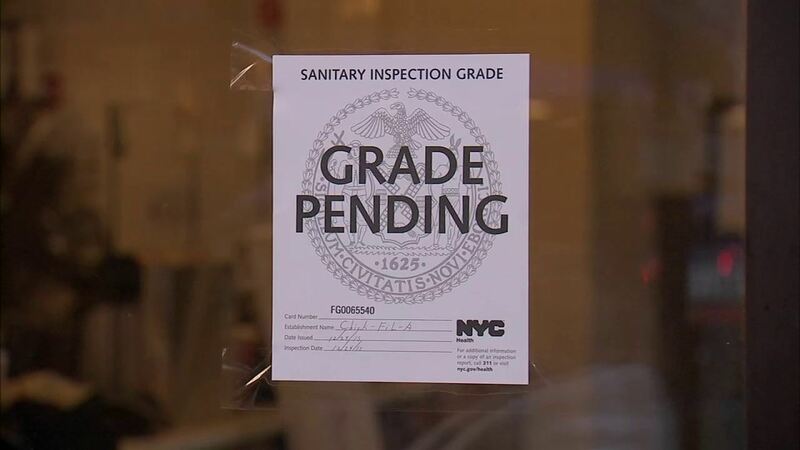 According to the NYC Health department, more than 28 violation points would get a restaurant a "C" grade - the worst grade a restaurant can get in the city. 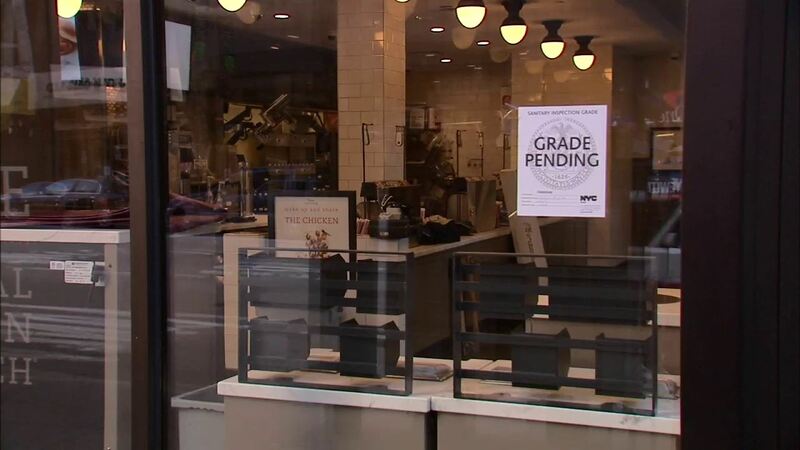 Records currently show the grade for this Chick-fil-A restaurant is "grade pending." 1. Cold food item held above 41 degrees except during necessary preparation. 2. Food not cooled by an approved method whereby the internal product temperature is reduced from 140 degrees to 70 degrees or less within 2 hours, and from 70 degrees to 41 degrees or less within 4 additional hours. 3. Filth flies or food/refuse/sewage-associated (FRSA) flies present in facility's food and/or non-food areas. Filth flies include house flies, little house flies, blow flies, bottle flies and flesh flies. Food/refuse/sewage-associated flies include fruit flies, drain flies and Phorid flies. 4. Food not protected from potential source of contamination during storage, preparation, transportation, display or service. 5. Wiping cloths soiled or not stored in sanitizing solution. This was from the second inspection performed at the restaurant in December. The initial inspection more than a week before was December 15 and scored 39 violation points. Chick-fil-A posted a message to the public on its website Monday, addressing how it plans to get the restaurant back on track. "We are taking these violations seriously and felt the decision to close was the right one, ensuring we could focus solely on correcting the issues reported including: fruit flies in the restaurant, maintaining cold food temperatures, improper storage of an empty container and wiping cloths not being sanitized properly," said the restaurant on the site. Chick-fil-A said it's also retraining the restaurant's leadership team and employees, as well as bringing in an outside consultant for independent inspections. "All of this activity and the commitment of our team will ensure the cleanest and safest environment going forward - something that we are committed to chain-wide," said the restaurant chain. The corporate office said the Manhattan location will remain closed until it is "exceeding standards in all areas." Chick-fil-A can now either post a C grade card or a grade pending card that will stay up until it has an opportunity to be heard at the Office of Administrative Trials and Hearings Health Tribunal. That's standard procedure for the health inspection grade system. At the time of the opening of the Sixth Avenue location on October 3, Chick-fil-A said more restaurants in Manhattan are planned to open in the near future. It also had nearly a one-hour wait to get inside, as the line stretched around the corner and down 37th Street.